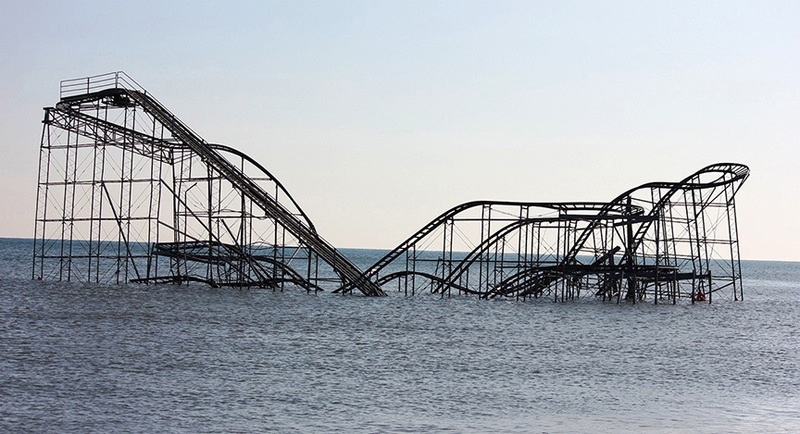 Just at the end of the 2012 hurricane season, Sandy lashed the US Northeast after bringing devastation to the Caribbean. Estimates for the total damage were about USD 70 billion, with USD 35 billion in insured claims, including USD 20 to 25 billion of private insurance industry loss and flood claims covered by the National Flood Insurance Program (NFIP), making it the second-most expensive storm after Hurricane Katrina in 2005. Several factors contributed to the high toll, despite its relatively weak winds: it was the largest Atlantic hurricane on record in terms of wing span; the moon tide and concurrent weather patterns amplified the impact; and record storm surge in a densely populated and highly insured area. In addition, Sandy also led to the worst power outage caused by a natural catastrophe in US history in terms of the number of people affected. Read more in sigma No 2/2013: Natural catastrophes and man-made disasters in 2012 (including a special chapter on Hurricane Sandy).